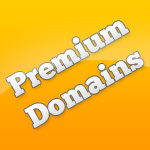 Webdevelog » Webdevelog » Premium domains sale out! Are you ready? There are four premium domain names for sale at a never returning price. Don’t muff the chance to buy one or all of them! You can contact me leaving a comment or via email at info@webdevelog.com. JUST NOW! If you buy three of the domains, the third is for free plus 25% discount. If you buy two domains, there is 50% discount. This offer is available until 15th August.